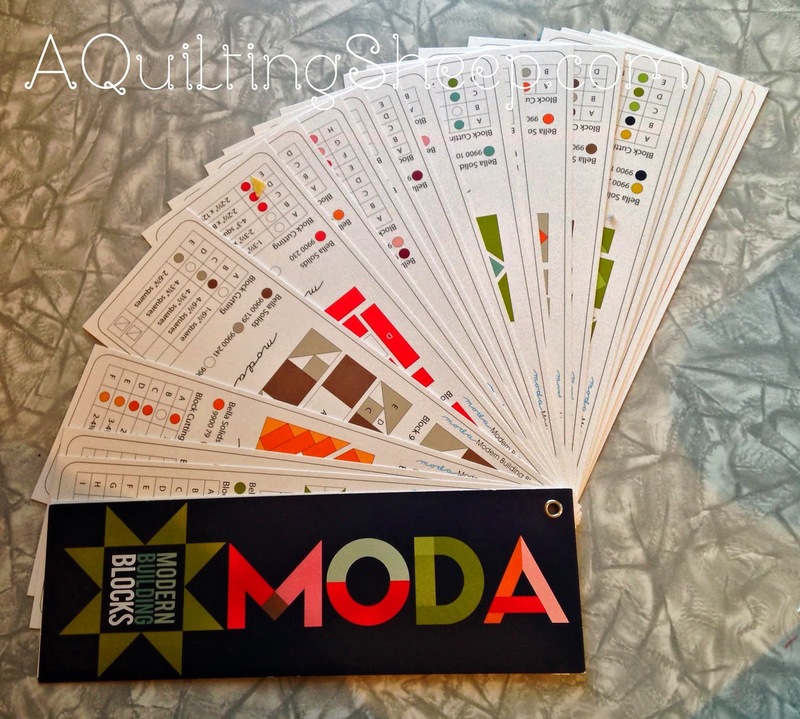 This week, I started Moda's Modern Building Blocks. I bought the pattern only and not the whole kit, which is made up of all solids. 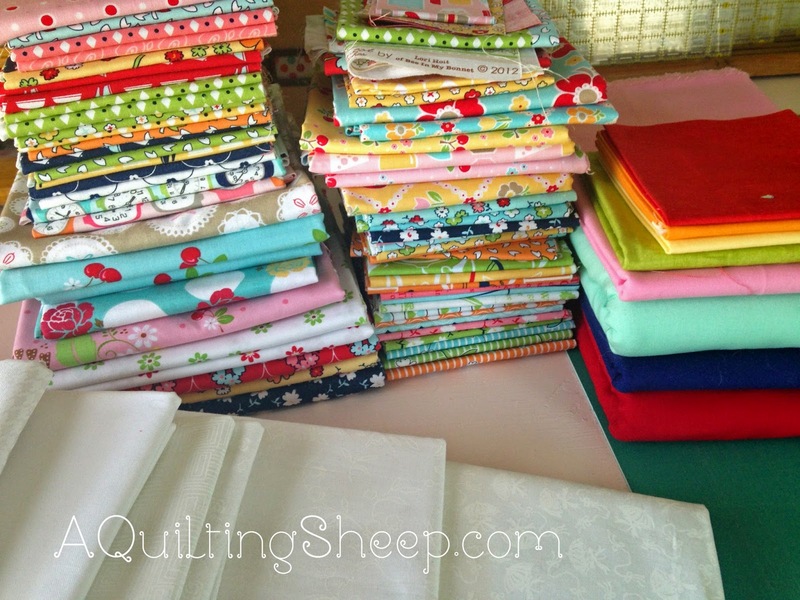 For my quilt, I chose to use all my Lori Holt @ Bee In My Bonnet fabric stash, along with some solids and tone on tone whites. Some of the solids pictured didn't make it into the quilt blocks...Not yet, at least. Some of these blocks are huge. Two are 36"!! 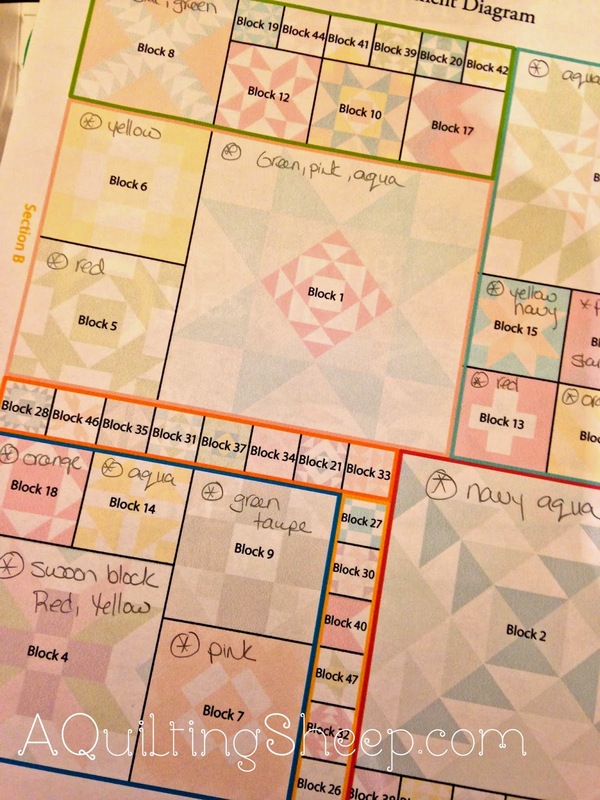 Keeping the blocks laid out so I can make sure the colors were distributed evenly was not an option, so I printed out the page that shows you how to put it all together and kept notes on it. 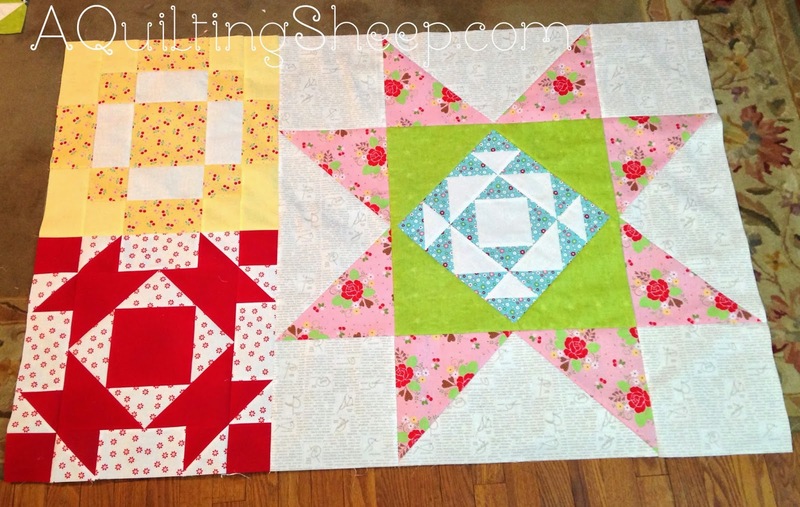 I deviated from the pattern and substituted the 24" block for a Swoon block. If you have been around for a while, you know how I love this block! One more section all put together. I've seen this pattern done many times in solids, and it just doesn't speak to me. 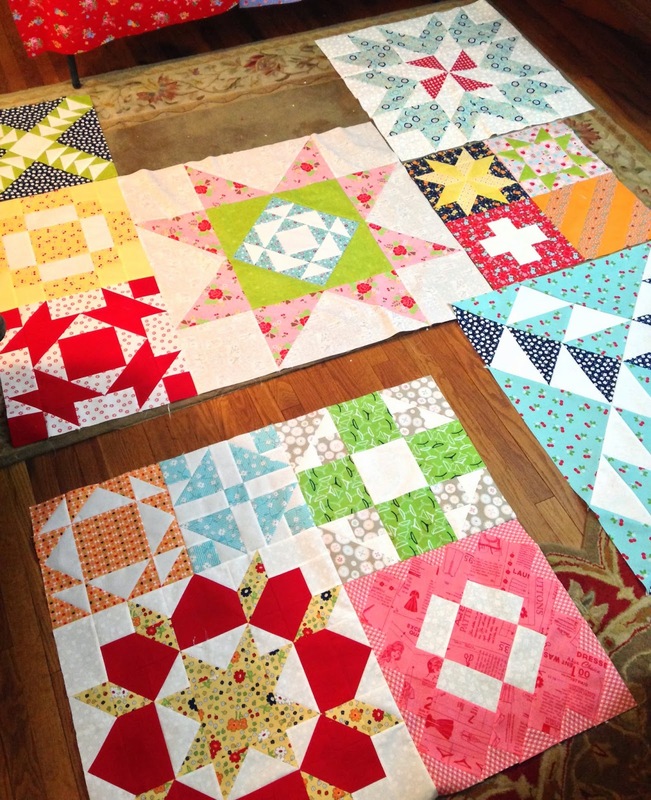 I REALLY like it in the prints you've chosen, and I heartily congratulate you on just rolling with the blocks and sewing together whatever works! 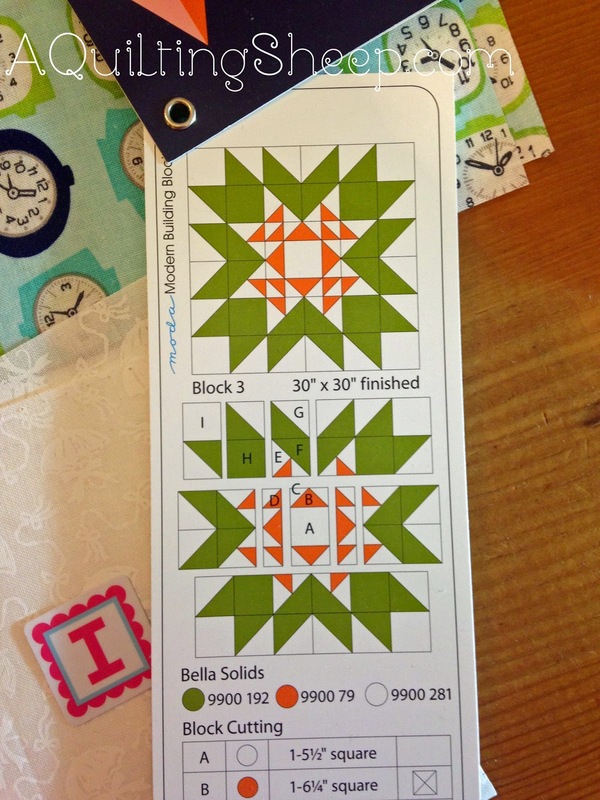 Thanks for sharing, and I look forward to seeing more of your blocks for this quilt top. I Hardly ever follow a pattern to the letter. I just always feel like I need to make it mine. Your color choices are beautiful. I like your changes they look perfect! 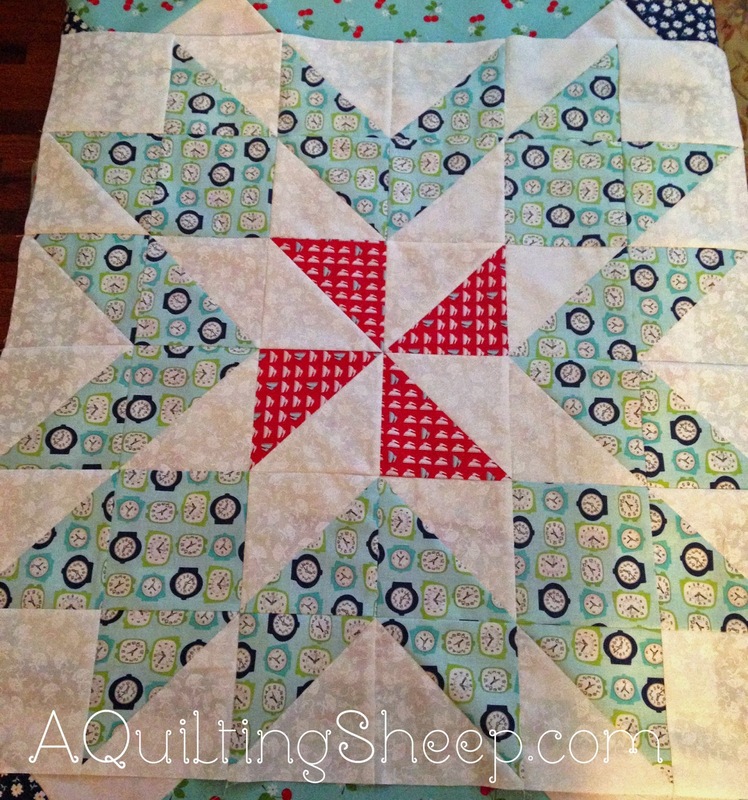 Love how you quickly found a solution to your dilemma and how you are putting your own stamp on this quilt. 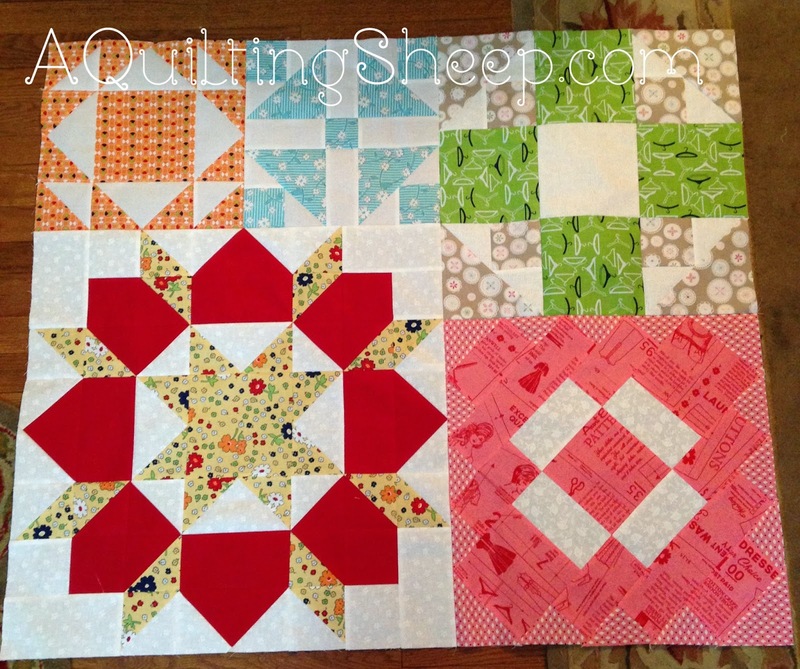 Love your fabric and color choices in all your blocks. 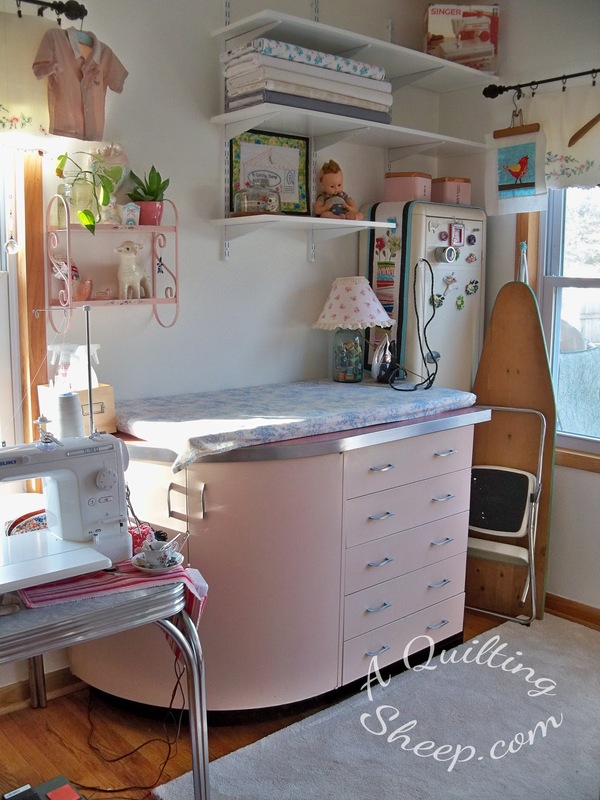 I too, like to change things up a bit as I sew my quilts. Amy, it's beautiful, and I definitely love what you chose rather than all solids. I've been looking for this pattern. Do you mind if I ask where you puchased it? I'd love to do this sometime in the future after I finish my Row-Along (which is already waaay late!). Love how you dealt with the unplanned change. I always follow the pattern exactly. That turned out beautiful. I don't change patterns up often unless I am making them for the 2nd time. I was looking at that pattern too, but not the kit. I know yours is going to turn out very pretty. 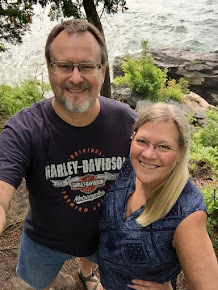 I love what you have shared so far. I was just looking at this pattern this morning! 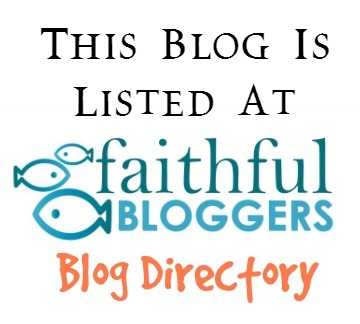 I am trying to find it in pdf format... Yours looks great! Yes, I really love the pattern of this quilt.